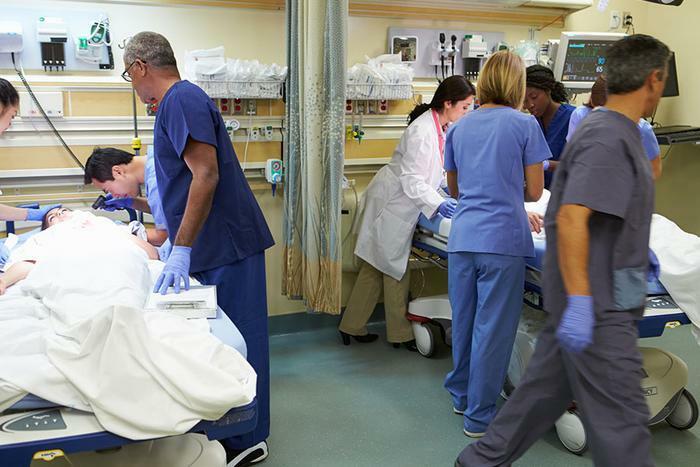 A recent University of Maryland study found that nearly 50 percent of all U.S. medical care is handled by hospital emergency departments. However, ER visits come at a heavy price for consumers. Another study conducted by members of the Johns Hopkins School of Medicine finds that certain emergency departments across the country marked up prices by as much as 12.6 times what Medicare covered in 2013. The researchers say these markups hit uninsured and out-of-network patients the hardest. The Johns Hopkins researchers arrived at their conclusions by comparing prices physicians charged with what Medicare would cover if emergency room physicians performed the same services. They then analyzed the markups for emergency department services and compared them to costs for internal medicine services. The results showed that emergency medicine physicians charged Medicare Part B fee-for-service beneficiaries $4 billion for services in 2013, with $898 million being covered by Medicare. This amounted to 340% in excess charges. In contrast, overall markup by internal medicine physicians came in at 110% in excess charges. The researchers said that the greatest markups tended to exist in for-profit hospitals or in areas that served larger populations of uninsured patients. Those findings are even more distressing given results from the University of Maryland study, which found that certain groups – such as African Americans and those without insurance – were the most likely to use emergency department services as their first line of medical care. Past findings from the Centers for Disease Control and Prevention (CDC) also show that older adults (aged 65 years or older) are more likely to use emergency department services in this way. The researchers say it is vital that lawmakers reconsider healthcare policies to avoid gouging consumers with unnecessary costs. “Including emergency care within health reform and population health efforts would prove valuable to supporting the health of the nation,” the University of Maryland researchers said. “Now, more than ever, protecting uninsured and out-of-network patients from highly variable hospital pricing should be a policy priority,” added the Johns Hopkins researchers. Both studies [1,2] have been published in the International Journal of Health Services and JAMA Internal Medicine, respectively.